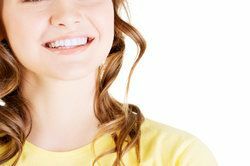 Many adults and teens are eager to have straighter teeth, but may feel reluctant to undergo traditional orthodontic treatment with its conspicuous—and often painful— brackets and wires. Fortunately, Drs. Steven Balloch and Joshua Lomke offer Invisalign®, an effective alternative that is more discreet and comfortable. Invisalign is a comfortable, convenient, and discreet way to achieve an aligned bite and smile. The series of Invisalign aligners are customized just for you, and are designed to gently guide your teeth in a sequence predetermined by your dentist. The clear aligners look much like teeth whitening trays, and are made of a thermoplastic material developed specifically for Invisalign. During a visit to our office, your dentist will create your precise treatment plan. He will determine the exact tooth movements needed, using images and impressions of your teeth. Based on the data gathered, a series of customized clear plastic aligners will be fabricated to fit your smile. Every two weeks, you will begin wearing a new mouthpiece that brings your smile closer to proper alignment. You will wear your mouthpieces for approximately 22 hours a day, removing them only to eat meals, perform routine dental hygiene, and clean the aligner. Treatment times vary by patient, depending on the severity of the case and the patient’s age. Patients with mild tooth misalignment will have shorter treatment courses than patients with severe misalignment. Most adults will need approximately one year to achieve desired results. Teens, whose mouths are still developing, will have a greater degree of variance in their treatment times. For the most effective treatment, it is recommended that aligners be worn 20 to 22 hours every day. The mouthpieces should only be removed for eating and daily hygiene routines. To keep your aligners clean, it is advised that you use the specialized Invisalign Cleaning system. Alternatively, aligners can be cleaned by brushing and rinsing them with lukewarm water. Crowded Teeth: A number of factors, such as sleeping habits and ill-fitting restorations, can cause teeth to shift and become crowded. Generally, this condition will worsen over time. Crooked teeth can be harder to clean, putting patients at higher risk of plaque accumulation, periodontal disease, and tooth decay. Gapped Teeth: Abnormal jawbone growth can cause wide gaps between the teeth. This extended spacing can make it easier for bacteria to collect below the gum line, putting patients at greater risk for gum disease. Underbite: Improper jaw development, genetics, and other factors can cause the top teeth to fall behind the bottom teeth when a patient bites. Known as an underbite, this condition can excessively wear on your teeth, and trigger temporomandibular joint disorder (TMD). Overbite: This condition occurs when the upper front teeth overlap the lower front teeth. Most people have overbite to a degree, but this condition can be problematic if the overbite is too little or too large. An excessive or large overbite, also called a deep bite, can cause worn teeth, aesthetic concerns, and jaw pain. Crossbite: This condition is defined by the abnormal relation of one or more teeth of one arch to the opposing tooth or teeth of the other arch. This can manifest as when your upper teeth fall inside your lower teeth on one side when you bite down, or when your top front teeth fall behind your lower front teeth when you bite down. Crossbites put patients at risk of tooth decay and TMD-related problems, like jaw pain and headaches. Open Bite: This bite problem arises when a tooth or teeth do not make physical contact with the opposing tooth. An open bite can cause pain when eating, speech impairments, and TMD. Invisalign® is a popular orthodontic therapy that discretely aligns your smile. These clear retainers fit snugly over your teeth and move them gently into position. Invisible and easy to use, Invisalign® is a great option if you have mild to moderate teeth misalignment. Efficiency: Invisalign patients require fewer trips to the dentist than those wearing traditional braces. Enhanced Confidence: Invisalign aligners are nearly undetectable when worn, so you never need to feel self-conscious during treatment. No Food Restrictions: Because Invisalign retainers are removable for eating, patients can continue to enjoy all the tough, sticky, and hard foods they love. This is in contrast to traditional orthodontic treatment that has food restrictions. Convenient Maintenance: Patients brush, floss, and care for their teeth just as they normally would, without having to worry about brackets and wires that can be difficult to clean. Comfortability: Since there are no metal brackets or wires, there is little risk of irritation in the mouth. See Your Results: Since the aligners are clear, you can see your treatment working over time, straightening your teeth. Most dentists recommend that patients wear a retainer following orthodontic treatment. This prevents the teeth from gradually shifting back into misaligned positions. You will need to confirm with your dentist whether retainers are needed in your case, and if so, whether they are recommended for your upper or lower teeth, or both. Another advantage of the Invisalign system is that many patients can continue to wear their final tray as their retainer. In this way, they can save on costs of having another retainer made. I’m a Field Engineer in a high tech field, and in front of clients often. When I arrive, the client is usually stressed because the work flow has stopped. Now I can break the tension with a confident smile. I’ve also had a handful of complete strangers compliment my smile. I’m sure I’m not the first to experience such fantastic results! Thank you so much. Invisalign cost varies according to many factors, including the complexity of your case and the time your treatment will take to complete. We are glad to help patients understand what Invisalign treatment costs during the initial consultation. To learn more about Invisalign cost, contact our Hartford office and schedule a consultation. The duration of your treatment. Some patients will only need to wear aligners for a few months, while others’ Invisalign treatment could last more than a year. Your insurance. Different insurance providers cover varying percentages of orthodontic treatment costs. Your dentist will discuss the estimated price of Invisalign® when planning your treatment. Straightening your teeth has both cosmetic and medical benefits. In addition to improving the look of your smile, straighter teeth are less vulnerable to infection and decay. The bone is also more stable around straight teeth, straight teeth are more stable over time than crowded teeth, and straight teeth are easier to keep clean. Many patients want a straighter smile, but dread the appearance and discomfort of traditional braces. Since Invisalign is virtually invisible, you can feel more confident with your smile during treatment. In addition, these transparent aligners are removable, allowing you to more easily eat, drink, and maintain your dental hygiene. Since they are smooth, Invisalign® aligners are often more comfortable than bracketed braces. Visit the Invisalign® section of our smile gallery to see actual patient results. We are committed to helping all of our patients enjoy more confident smiles. We provide CareCredit® monthly financing for qualified patients. You can also apply your Flexible Spending Account (FSA) to Invisalign® treatment. We believe all of our patients deserve a smile they are confident to share with others. Experience the improved oral health and self-esteem a straighter smile from Invisalign affords. Find out if an Invisalign treatment is right for you by calling our office today at (860) 659-8660, or contacting us online.